Gathering information about human beings (and organisations) through interviewing, surveying, questionnaires, observation of human behaviour, audio/video taping, administering tests or stimuli. Individuals who fail to comply with ethics requirements and University policy may risk disciplinary action and exposure to civil or legal action. The National Statement on Ethical Conduct in Human Research should be used to guide your ethics application. The Guidance document provides clear and details instruction on completing the application form. The Australian Code for the Responsible Conduct of Research outlines the expectations for the conduct of research in Australia. Some projects considered to be of negligible risk may not require human ethics review. For example, the use of information available freely in the public domain does not require human ethics approval. What are the different types of human ethics clearance applications? Minimal Risk applications are the most common human ethics application type within the Faculty of Architecture, Building and Planning. Minimal Risk research projects are those that present low risk to participants and researchers. The ultimate decision as to whether an application is eligible for minimal risk review lies with the Faculty’s Human Ethics Advisory Group. Standard Project application is used for projects that present more than low risk as defined by the National Statement on Ethical Conduct in Human Research. A Standard Project must be first reviewed by the HEAG before being submitted to the Human Ethics Sub Committee (HESC) for review and approval. Melbourne School of Design Minor Thesis (Planning or Property) requires students to follow a unique process for their ethics application. Please follow the Ethics for MSD Minor Thesis Students (Planning or Property) process below. Other Minor Thesis (not Planning or Property) students should apply via the minimal risk, or standard project process. Registration of approved application is used when a researcher attached to a project has previously received approval from another institution's human research ethics committee, the project will need to be registered with the University of Melbourne and provide annual reports regarding the conduct of the project. Transfer application will transfer ethics approval obtained from a human research ethics committee at another institution. The University of Melbourne will then become responsible for the research. For example, this is applicable if a researcher has moved from another university and will be continuing existing research projects. Why is annual reporting required? The Human Research Ethics Committee requires that researchers submit an annual report on each of their projects at the end of the calendar year, or at the conclusion of a project if it continues for less than this time. The University is required to follow up on any annual reports which are out of the ordinary. Failure to submit an annual report will mean that ethics approval will lapse. Allow 4-6 weeks for approval of Minimal Risk applications. Projects considered to be of greater than minimal risk are reviewed, following HEAG review, by the Humanities, Law & Social Science Human Ethics Sub-committee (HLSS HESC). Researchers should allow 12 weeks for review and approval for these projects (Standard Projects) by HEAG and HESC Committees. In 2019 drop in sessions for graduate researchers will be held a week prior to each closing date, normally at 11am to 12pm in Room 359, Level 3 in the MSD Building. However, the first drop in session will be 2pm, Tuesday 29th January. No appointments required. Please come by with any questions you have. No research project involving human participants may be commenced by University of Melbourne students or academic staff without obtaining prior ethics clearance. Graduate researchers are normally expected to be confirmed prior to applying for ethics approval. This process is for staff and graduate students not enrolled in a Minor Thesis (Planning or Property) subject. Login to your Themis account and select UOM Research Self Service from the side menu. Students will need to create an account through the Account management page first. Under Ethics, select Human Ethics Workbench. Click the Create button next to Ethics Application (including transfers and registrations). Select the relevant applicant type: Supervised Student Research Project or Staff Research Project. Follow the steps, answering the preliminary questions questions relating your research. Download the application form and complete it offline referring to the research ethics and integrity pages when needed (with help from your supervisor if you are a student). Once complete, upload your application form, along with any subsidiary documents such as Plain Language Statement, Consent Form or a copy of interview questions/surveys, to Themis and submit. You will receive an email notifying you of your lodged application. Your entire application (with printable Summary Report downloaded from Themis) should be emailed to abp-ethics@unimelb.edu.au in PDF format before the deadline. You can track the progress of your application on Themis at any time. If you need to make changes to your ethics approval, lodge an Amendment Application on Themis. To do this click the Create button next to Ethics Application Amendment at step 2. The ABP HEAG normally expects that graduate researchers submit ethics applications after confirmation. However, for pilot studies and in other circumstances it may be appropriate to submit an ethics application prior to confirmation. Please discuss this with your supervisor/s. Your supervisor is the Responsible Researcher, co-supervisors can be added as Co-Researchers if appropriate, and the graduate researcher is the Student Researcher. Use the current templates for the Plain Language Statement (PLS) and Consent Form. Is the PLS language actually plain? Ask a friend or family member who is not in your field to read it, check your audience can understand what your aim and what you are asking of them. Make sure the Responsible Researcher has read and signed the application. Allow them enough time to provide comments and for the changes to be made. Don’t downplay the risks, acknowledge them and outline how they will be mitigated. Ensure the application is internally consistent. For example, don’t say there are no risks and then outline how risks will be minimised. Be realistic about how long interviews might take. When you upload documents, upload either word documents or saved PDFs. Please don't upload scanned PDFs as they are hard for the reviewers to read. If you need to upload a scanned copy of the signature page please upload this as a separate document. Limit your use of acronyms. Think carefully about issues such as consent and anonymity. Consider using verbal consent where vulnerable participants must not be identified to ensure their names are not recorded. In some circumstances it may be appropriate for participants to be identified, such as recording historical contributions to a particular field. For students enrolled in the MSD Minor Thesis (Planning or Property) the process for applying for ethics clearance is outlined in the steps below. Download the MSD Minor Thesis Ethics Application Pack. Meet with your supervisor to discuss your application. Fill out all sections on the cover sheet and attach completed forms. Ensure your supervisor signs off on your application. Combine all documents into one pdf and submit via email to abp-ethics@unimelb.edu.au. Ensure you submit your ethics application at least 2 months prior to data collection. Applications considered to be of higher risk may be asked to submit a full ethics application. Other Minor Thesis (not Planning or Property) students should apply via the previous application process. The Human Research Ethics Committee requires that before December 20th (or at the conclusion of the research project if you finish mid-year), you must email abp-ethics@unimelb.edu.au to report on the research using the report template. 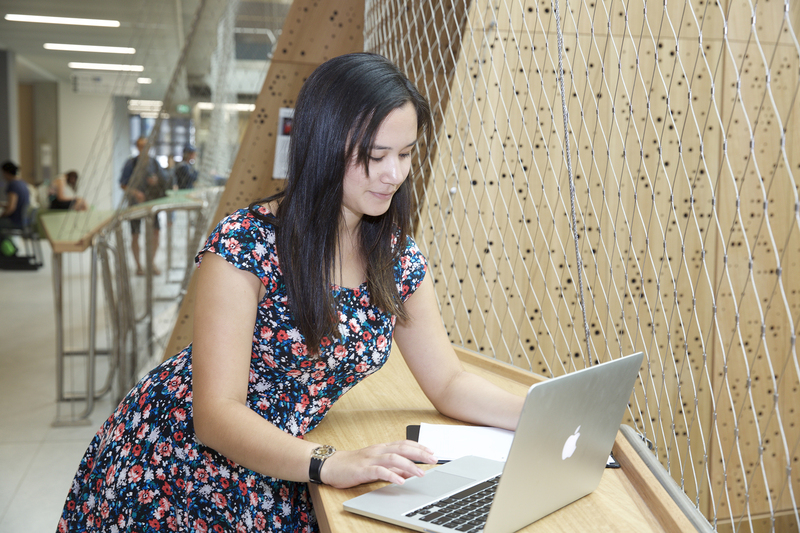 Any queries regarding the application process can be directed to abp-ethics@unimelb.edu.au.